Posted on Nov 18, 2014 by Appleton Downtown Inc. The Appleton Boychoir will present A Festival of Nine Lessons and Carols on Sat., Dec. 6, at 1 pm and 4 pm at the Lawrence Memorial Chapel. The beauty of the season and the soaring treble voices of the Appleton Boychoir come together in A Festival of Nine Lessons and Carols. A spectacular community tradition for generations, the concert brings the best loved songs of Christmas along with the splendor of the ceremony. Modeled after the famous Kings College festival, which was first present in Cambridge, England in 1918, biblical lessons telling the Christmas story are read beginning with a young boy chorister and continuing to representatives of the university and even the Mayor of the City of Appleton. 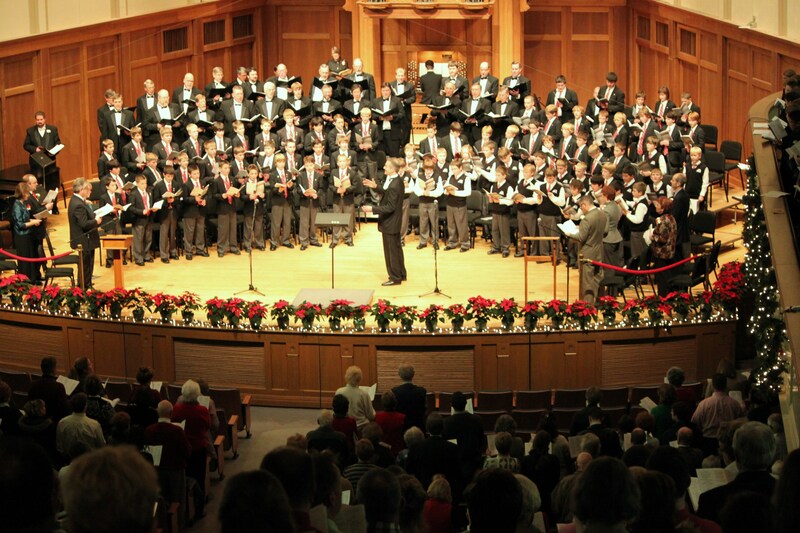 The majesty of music…the setting of the Lawrence Memorial Chapel…and the inspiring voices of the Appleton Boychoir and MasterSingers make this a Christmas event not to be missed! Premium seats for $20, preferred seating for $15, and family seats for $10 will reserve a spot in the Chapel. Tickets for all Appleton Boychoir performances can be ordered: by MAILING in the Appleton Boychoir 2014-2015 season brochure’s ticket order form with payment to the Appleton Boychoir, Fox Cities Building for the Arts, 111West College Avenue, 4th Floor, Appleton, WI, 54911; by CALLING the Appleton Boychoir office at 920-955-ABCI (2224) using Visa or MasterCard as payment; ONLINE at www.appletonboychoir.com; or IN PERSON forty-five minutes prior to each performance with cash or check payment only. The Appleton Boychoir’s 2014-2015 season was supported in part by a grant from the Wisconsin Arts Board with funds from the State of Wisconsin and the National Endowment for the Arts. Founded in 1979, the Appleton Boychoir has given musical training to more than 2000 members. The Boychoir has had considerable touring and hosting experience in this country and abroad. Since its founding, the Boychoir has made appearances with many exceptional choirs and orchestras. The mission of the Appleton Boychoir is “enriching lives through singing.” To learn more about the Appleton Boychoir and other upcoming performances, please visit www.appletonboychoir.com.